Never put crawfish in with turtles. The turtles will eat them immediately. It is their favorite delicacy. To raise crawfish in an aquarium, you need to know some basic aquatic rules. First, give the little guys some air. Just like fish, these creatures need bubbles in the tank at all times. You can accomplish this with an aerator. Also, make sure you have a lid with tiny holes to prevent your little pets from escaping, since they are excellent jumpers and climbers. 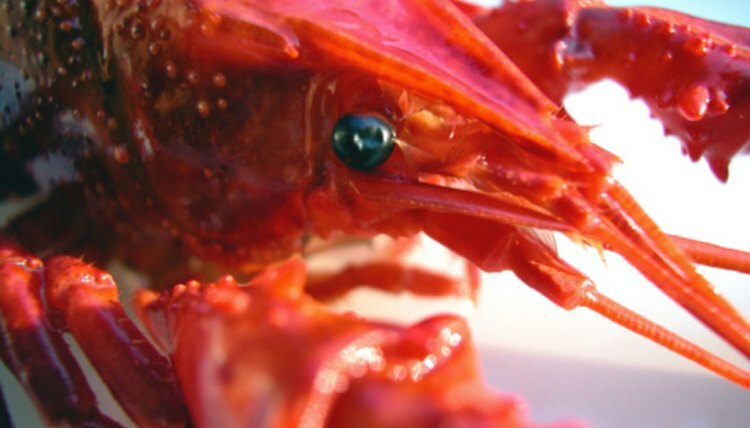 If you want an interesting, low-maintenance pet, a crawfish may be the ideal catch. Find a tank 5 gallons or larger and fill it up, making sure there is at least 4 inches of water depth. Although you can raise crawfish in an aquarium in deeper water, they don't like anything much shallower than that. Place lots of rocks and hiding places all around the tank. Raise crawfish in an aquarium that represents their natural habitat. Typically, these creatures hide under rocks during the day and venture out at night. Give the little guy some privacy. Don't try to raise crawfish in an aquarium with others of the same species. They like to be alone. In fact, try to limit other types of fish as well. If they are large fish, however, your little crustacean shouldn't bother them. Test the pH level of the water every week or so. If you want to raise crawfish in an aquarium, it should stay right at a 7, which is completely neutral. To maintain this level, boil an egg, eat it for breakfast, and crush up half the shell. Then, sprinkle the crumbles into the tank. Keep the water temperature around 65 to 70 degrees Fahrenheit. Drop a tiny pinch of fish food in the water twice a day. In fact, when you raise crawfish in an aquarium, they really eat very little. They'll actually eat up some of the crushed egg shells as well.